July has been a big month for cruise lines revealing new itineraries. But I'll start with a shameless plug for your vote. 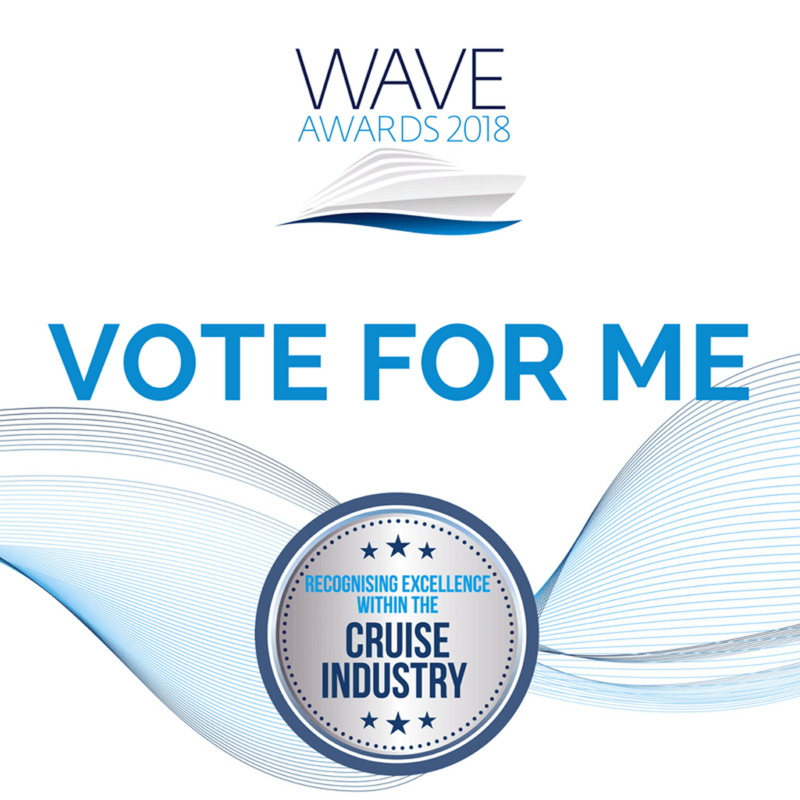 This month I discovered my blog is shortlisted for the Best Cruise Blogger category in World of Cruising's Wave Awards 2018. I am extremely proud to be shortlisted amongst the crème de la crème of the cruise blogging industry. I urge you to check out all the blogs listed above. P&O Cruises revealed its 2018 line-up of Food Heroes sailings. Atul Kochhar, Marco Pierre White, Eric Lanlard, Olly Smith, and James Martin will all take to Britannia, Azura, or Ventura. Keep an eye out for appearances on selected sailings. There are a few Food Heroes sailings remaining this year. Celebrities are also headlining the Limelight Lounge on Britannia. Dates and itineraries are linked to above. Norwegian Cruise Line updates its 2018 deployment plans, with Norwegian Sun sailing four-day cruises to Havana, Cuba and Key West, and Norwegian Jewel sailing seven- and nine-day Alaskan itineraries from Seattle, Seward, and Vancouver. Ramblers Walking Holidays and Fred. Olsen Cruise Lines released a joint brochure with "Cruise & Walk" holidays for 2018. Seven new expeditions are available on Silversea's Silver Explorer as the ship sails along the Pacific coastline from Ushuaia to Vancouver in 2018. One Ocean Expeditions expanded its Antarctica programme for 2018/19 with the addition of fly-cruises. Guests now have a choice of start and end points in South America, plus the option of travelling by ship across the Southern Ocean or flying instead to provide more time in Antarctica. One Ocean Expeditions also added the curious combination of golfing and an expedition holiday to its 2018 line-up. 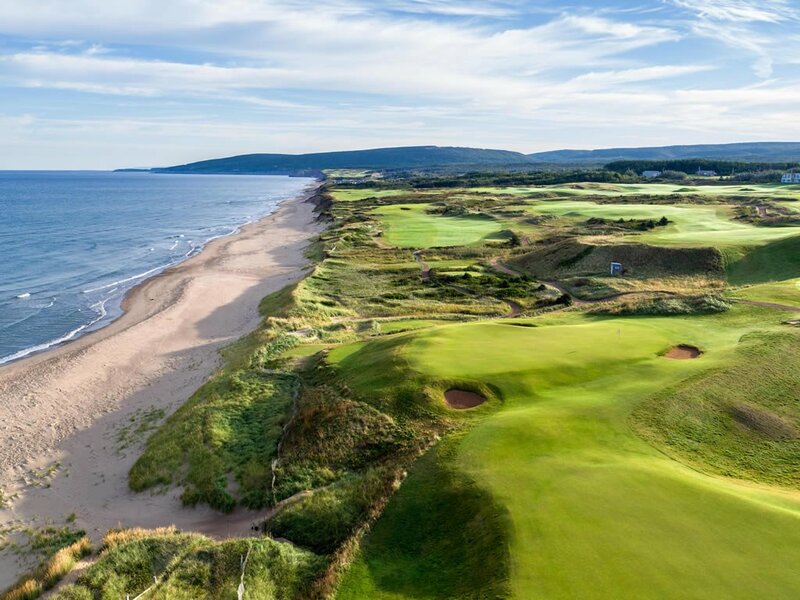 The "Fiddles & Sticks" cruise visits some of the world's best ocean-front golf courses while exploring Canada's maritime provinces. APT launched its biggest UK river cruise brochure to date with river cruise itineraries covering Europe, Russia, and Asia in 2019. Paul Gauguin Cruises launched its 2019 itineraries to Tahiti, French Polynesia, Fiji, and the South Pacific. Regent Seven Seas Cruises revealed its world cruise itinerary aboard Seven Seas Mariner sailing in 2020. If you have 131 nights spare along with a suitcase full of cash, I could not think of a better way to spend your time. The full circumnavigation visits 30 countries spanning six continents. Disney Cruise Line is adding a seventh ship to its fleet. Last year, the cruise line announced plans to build two ships at the Meyer Werft shipyard in Germany for delivery in 2021 and 2023. The additional ship will be built at the same shipyard ready for 2022. Royal Caribbean is adding a trampoline park to Independence of the Seas as well as water slides, an escape room, and laser tag during the refit in April 2018. The ideas came from travel agents. Expect to sign a disclaimer to take part. I wonder if the onboard doctor will see an increase in foot and ankle injuries as a result? P&O Cruises invited the great British public to name its new ship, due to launch in 2020. The 180,000 gross ton ship will be bigger than Britannia and needs a befitting name. I bet the first suggestion was Boaty McBoatface, closely followed by Shipy McShipface. The winning name will be announced next year. The Viking Cruises World of Discovery Garden, designed by Paul Hervey-Brookes, won gold at the Hampton Court Flower Show 2017. Celestyal Cruises agreed to a one-year extension of the Thomson Spirit charter to Thomson Cruises for the 2018 season. Crystal River Cruises revealed its culinary concepts for the forthcoming ship, Crystal Bach. Scenic Cruises did the same for its first ocean-going ship, Scenic Eclipse. Voyages to Antiquity unveiled four new 13/14 day cruise-tours in Cuba and Jamaica as part of its 2018 offers. MSC Cruises added some new shore excursions exclusive to MSC Meraviglia itineraries. Options include a behind-the-scenes tour of Genoa Aquarium, a food tour of Naples, and a tasting session in Barcelona's Iberian ham museum. MSC Cruises also partnered with the MasterChef brand to take the television contest to sea. Great Rail Journeys launched its new river brand, Great Cruise Journeys, in partnership with AMA and Travelmarvel. The launch collection features eight holidays on the Danube, Douro, Main, Rhine, and Rhone. Pandaw Expeditions added new lunch and dinner menus on its Indochina river cruises, designed by award-winning chef and restaurateur, Brian Woolley. British star Larry Lamb explored the Mediterranean with Thomson Cruises on TUI Discovery 2, creating a series of three films covering Barcelona, Palma, and Ibiza. Phillip Schofield took his first cruise on Royal Princess. Princess Cruises announced its first brand ambassador in the UK back in April. The cruise line hopes the video will reach a new audience who may not have considered a cruise holiday. The video can be seen below. Lindblad Expeditions' National Geographic Quest, the line's first new build ship, launched with an inaugural 8-day expedition exploring Southeast Alaska.